Solar Energy is an industry with intense competition from online marketing. 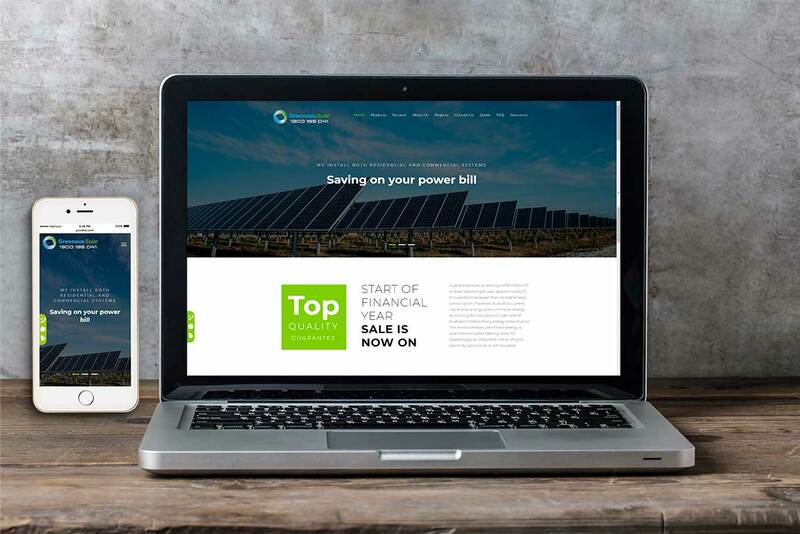 A unique website with a smart outlook will give the new player--Greenaus solar-- a chance to stand out of its competitors. A smart looking email signature is not only a wise choice for building professional company image, also It is able to organize useful information and links to promote a company without messing up the whole email. As a Large wholesale company, Blue Sky Clean Energy looking for a series of corporate identity to have a clearly professional image in their clients' eyes. Additionally, some of them can be used on marketing purpose. The Mark Cup and USB Drive are very popular. Web Marketing could maximize the potential of your website. 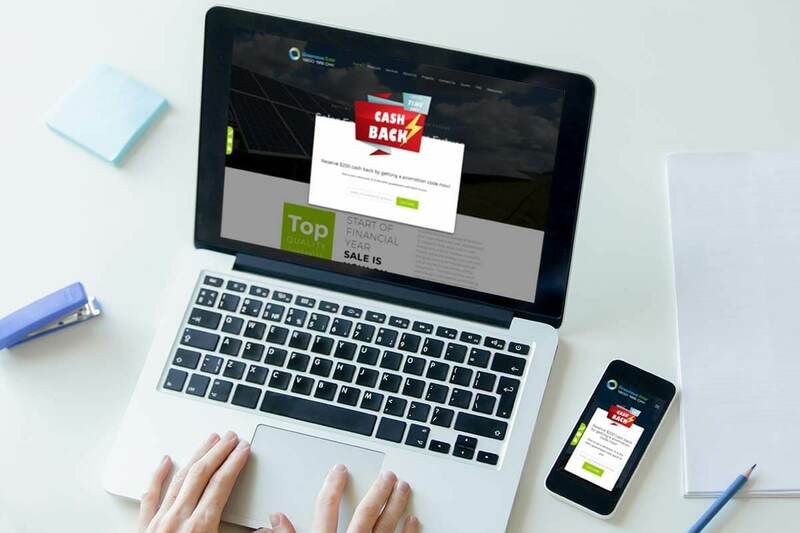 Greenaus Solar has just added a "Get $200 Cashback promotion code" to their website. 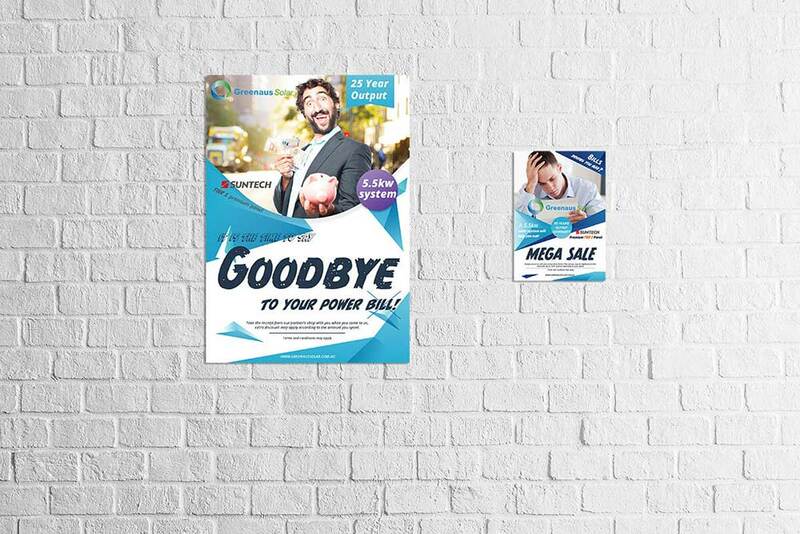 When every you have some promoting activities, poster are the most common and popular options. These two posters are designed for Greenaus Solar to be shown on their partner's shops. 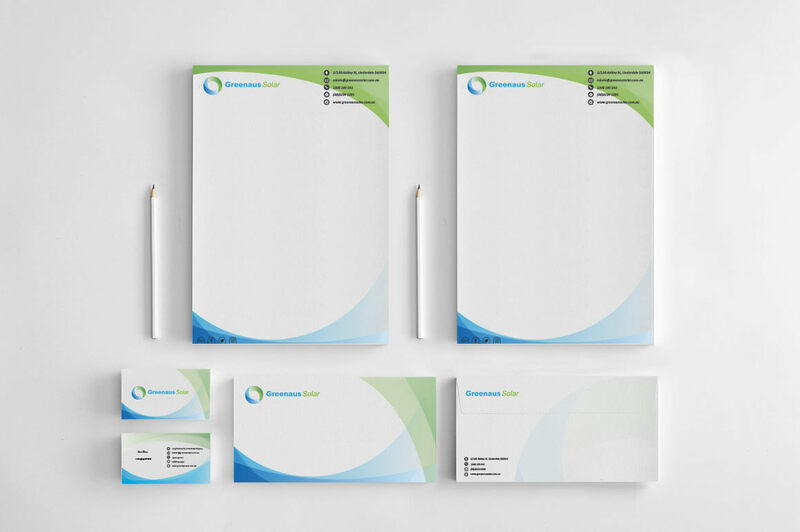 This is the corporate identity design for Greenaus Solar. These things are not only to make office rich of corporate image but also can be used on marketing purpose. The idea of this business card is just like the Greenaus Solar's logo, blue and green, clearly represent clean energy. As this is a add-on promotion product, so the graphic design plus 500 copy prints were free. This fillable PDF Form allows the user to quickly fill the pdf form and with fewer errors and more efficiency. Also, it can auto-fill some contents like date, calculate results, active or disable some sections of the form base on users' options. Why YNW is the best web designer in Adelaide? Subscribe us to receive our newsletters periodically.